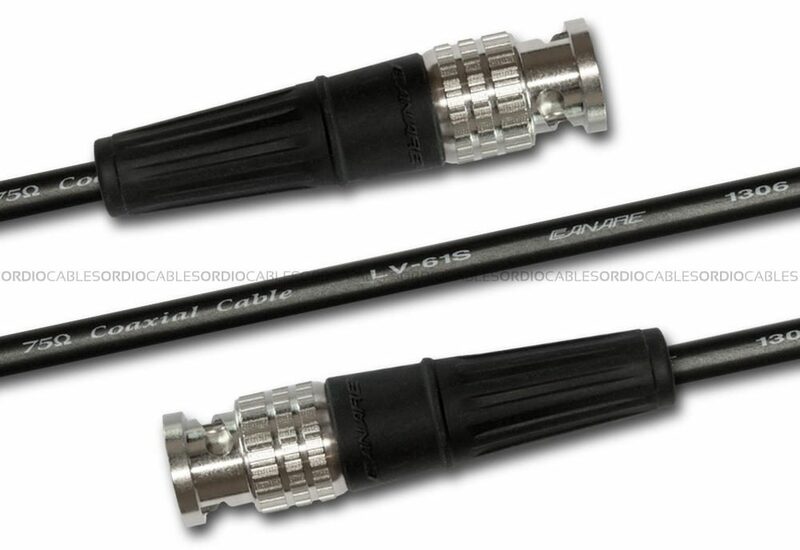 Ordio Cables BNC-BNC Video Cable features Canare cable Canare LV-61S cable and Canare BNC connectors. 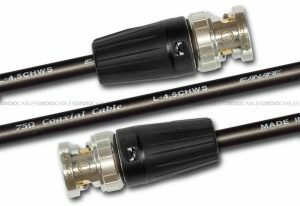 Our BNC-BNC HD-SDI Video Cable features the most commonly used, trusted and durable 75Ohm coaxial video cable Canare LV-61S (made in Japan) and industry standard Canare BCP-C4B BNC connectors dressed with Canare black rubber boots. This professional quality hand crafted BNC-BNC HD-SDI Video Cable can be used for SD, up to HD video applications. The flexibility of the LV-61S means extremely quick ‘on the field’ deployment and return with little to no cable memory. 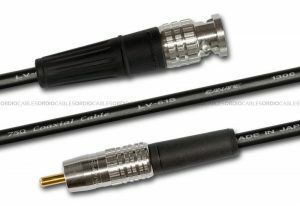 This is a very popular stranded video cable that is used globally across hundreds of broadcast end users. Every single custom cable we make is hand crafted right here in Sydney Australia, we proudly use genuine Canare cable and Neutrik (or Canare BNC) connectors. This BNC-BNC HD-SDI Video Cable will be made to order and fully tested before dispatch. We offer a lifetime warranty on all our cables, this means that the craftsmanship of our work on this BNC-BNC HD-SDI Video Cable will be under warranty for life, parts will be covered by the manufactures limited warranty terms.